Cal-Gest, BUY Antacid Tablets, Chewable Antacid, 00536474297. 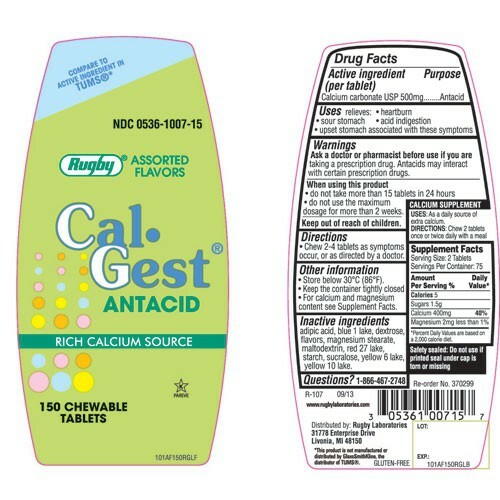 Cal-Gest chewable antacid tablet, manufactured by Rugby, is an antacid tablet that comes in assorted flavors. These chewable antacids are perfect for lessoning stomach acid, easing heartburn, and settling upset stomachs. Cal-Gest Antacid Tablets are the generic comparison to TUMS.